By David Bauder, The Associated PressNEW YORK — Two weeks into non-Jay Leno programming, NBC’s audience for the final hour of prime-time TV has increased by 45 per cent. While NBC doesn’t necessarily have any hits in that hour, the instant response by viewers indicates they are more comfortable with the traditional mix of drama, news and reality rather than a late-night show moved into prime time. The failed experiment of Conan O’Brien taking over the “Tonight” show and Leno moving into prime time ended just before the Olympics. 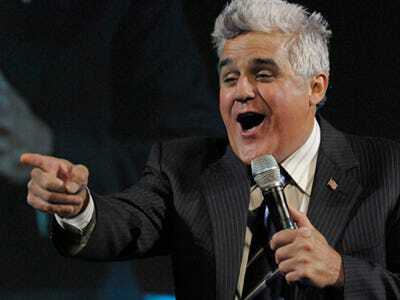 Leno was averaging 5.15 million viewers in his new slot, the Nielsen Co. said. Through two weeks of other programming, the network is averaging 7.44 million at 10 p.m. Eastern, 9 p.m. Central. Local affiliates expressed anger that Leno’s low ratings hurt their late local news. NBC moved Leno back to the “Tonight” show. O’Brien quit instead of taking NBC’s offer to move his start time back by a half-hour. NBC’s most-watched program of the week, “Law & Order: SVU,” was in the 10 p.m. time slot Wednesday and was seen by 8.5 million people. Two lighter shows, “Parenthood” and “The Marriage Ref,” had more than six million viewers each. A two-hour “Dateline NBC” Friday had 7.6 million, Nielsen said. Only the warhorse “Law & Order,” with 5.21 million viewers Monday, was in the neighbourhood of Leno numbers. To give some perspective, CBS last week had 17 prime-time programs that were watched by more people than anything on NBC. For the week, CBS averaged 11.3 million viewers in prime time (6.9 rating, 12 share), Fox had 9.4 million (5.5, 9) and won among the 18-to-49-year-old age group advertisers love. ABC had 6.5 million (4.2, 7), NBC had 6.3 million (4.0, 7), the CW had 1.8 million (1.2, 2) and ION Television had 1 million (0.7, 1). Among the Spanish-language networks, Univision led with 3.2 million viewers (1.7 rating, 3 share), Telemundo had 1.1 million (0.6, 1), TeleFutura had 960,000 (0.5, 1) and Azteca had 210,000 (0.1, 0).